In winters you can't get enough of body lotions. Skin tends to get dry so hydration is the key to beautiful skin especially in the winter season. 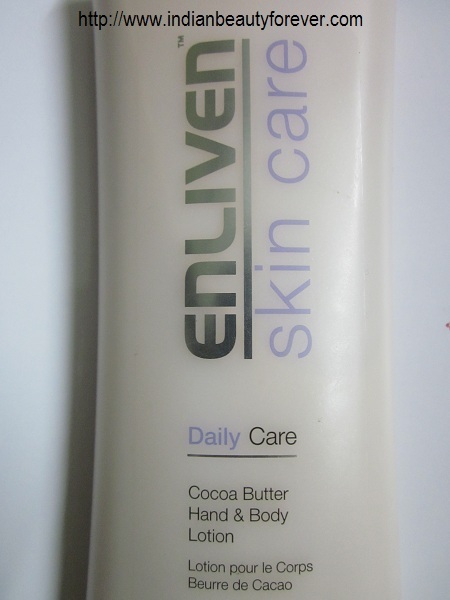 Today, I will do a review on the Enliven body lotion with cocoa butter. Just a little about the brand-Enliven is a British Health and Beauty company that offers products that suits modern lifestyles. 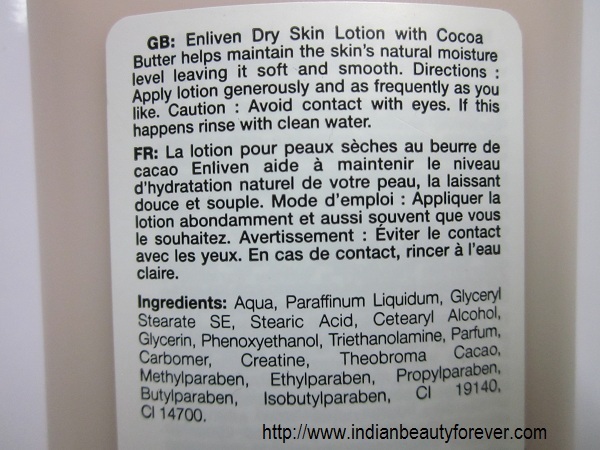 My experience- This is my first skin care product from the Enliven though I have earlier used their Ultra hold hair Mousse which is a great product and yesterday itself I have used that to curl my hair.While browsing Medplusbeauty online shop one day, I saw this and thought of trying it since I had a good impression of that brand and have also heard some good thing about their products. I have used most of the body lotion brands locally available here and before this I was using Nivea body lotion, but this is my first from Cocoa butter body lotions. I have also used the Vaseline cocoa glow which has a strong smell of cocoa that I was not happy with but still I get this one in cocoa butter variant. But still does a great job in keeping the skin moisturized for good 3-4 hours indoor. The quantity given is huge. 400 ml for 199 is great and the bottle is lovely. It looks good on the side table or dressing table. The only thing that I am concerned of is that the ingredient list says that it has parabens. Other than that I love this body lotion. My take- If you can ignore the presence of parabens in it then try it. It comes with a great smell and hydrating properties and is a value for money type of product!! 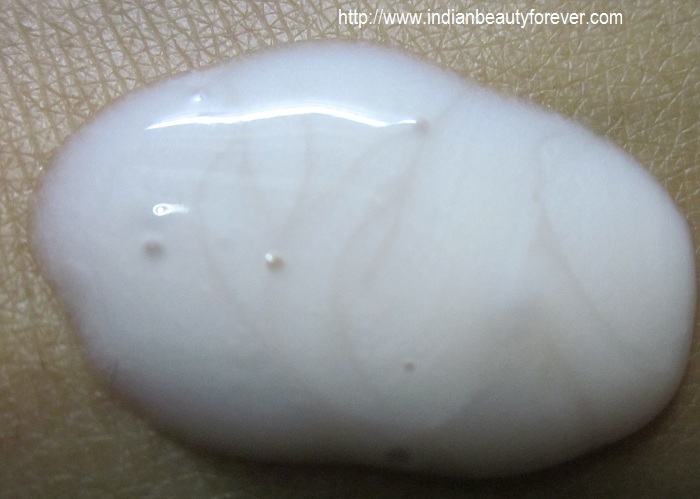 I have body butter from Enliven and I can say that it is runny in consistency as well.. It is , they have not launched Body butters here yet i suppose.. would love to try them.